D. Dorothy Stang. " In a second trial Moura was acquitted of all charges because the gunman Rayfran das Neves Sales declared in court to have killed Dorothy Stang for personal motivation. She was murdered in Anapu a city in the state of Pará in the Amazon Basin of Brazil. 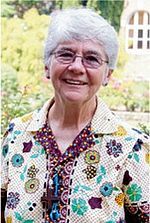 Sister Dorothy Mae Stang S. N.